The real thing for cowboys. That’s how the New York Times described the J.M. Capriola Company store in Elko, Nevada, in an article in 1984. The same can be said today, though the store attracts just as many city slickers as cowboys. The two-story shop in the old adobe building was founded in 1929 by Joe Capriola, an apprentice of world-renowned leather craftsman G.S. Garcia. 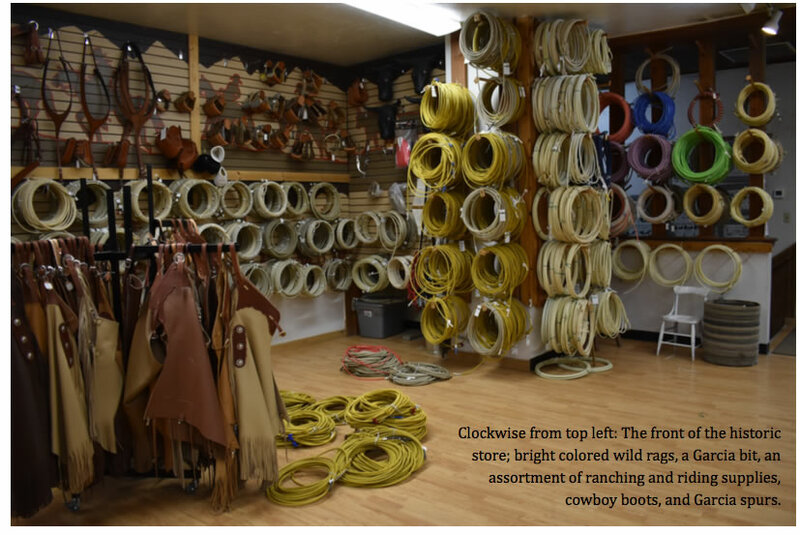 It quickly became known for its inventory of authentic Western gear, including hand-crafted saddles and other leather products. “We’re one of the last true Western stores,” says Susan Wright, who manages the J.M. Capriola store with her husband John, a third generation owner. John’s grandparents – Paul and Betty Bear – bought the store in 1958. John’s parents – Paula and Doug Wright – took over in 1985. 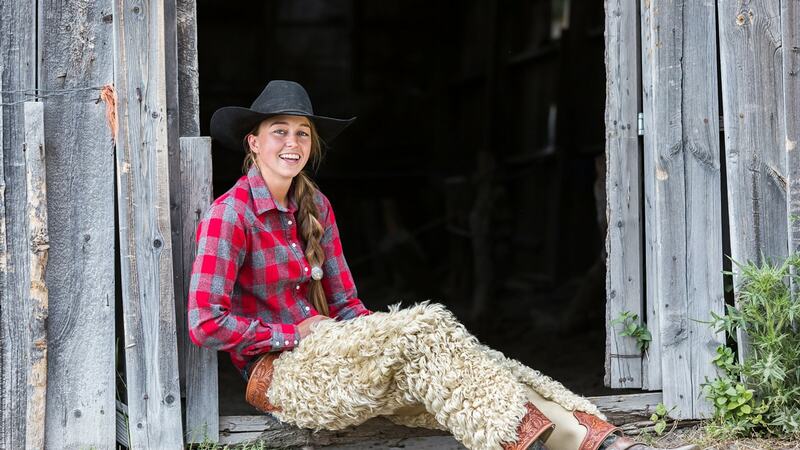 Paula was tragically killed in a riding accident in 2012, leaving John and Susan to take up the reins of the family business. “When we lost Paula, we lost a lot of history,” says Susan. “She could look at anything and tell you exactly what it was. 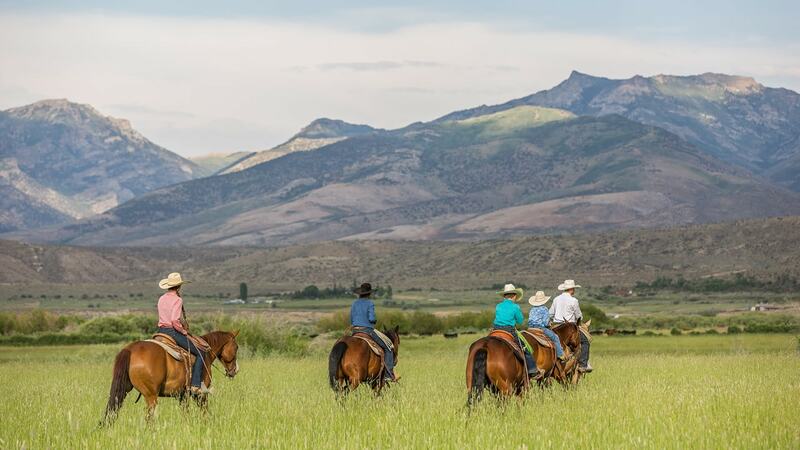 If it was an old bit, if it was an old saddle, if it was a maker’s mark that was 150 years old she knew everything about that maker.” Susan, originally from California, is doing her best to learn the ropes, but her husband John is right at home. “He’s born and bred for this,” she says. The store continues to operate largely as it did when it was founded, with an emphasis on working gear for working riders. It carries everything needed to outfit the rancher, buckaroo, or weekend rider. 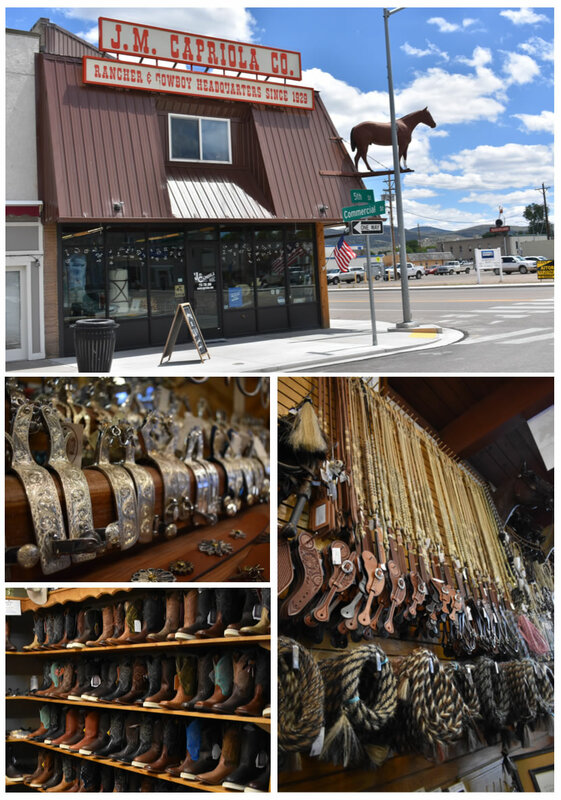 There are wall to wall displays of shiny silver Garcia bits and spurs, headstalls, reins, bosals, mecates, ropes, cinches, stirrups, shirts, boots, hats, jeans, and more. What you won’t find is cheaply made or low-quality gear. “We’re not going to buy the cheapest made. We’re going to buy the best made,” says Susan. But what Capriola’s is famous for are the leather products they make themselves, from saddles and chaps to belts and wallets. “There’s no trends here. Everything is basic, traditional gear. We make everything the same way we’ve always made it for the past 89 years,” says Susan. 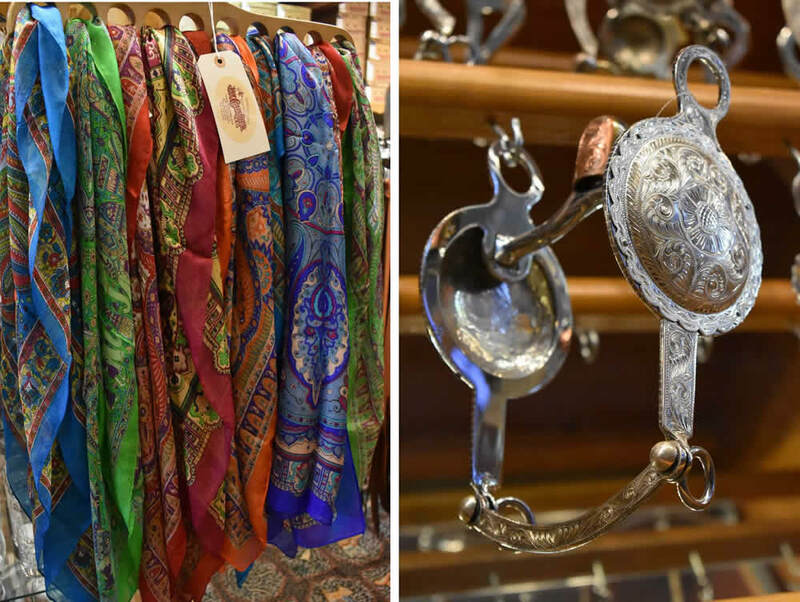 Capriola’s places an emphasis on function, not just things that look good, and they stick to the styles and designs that have worked for cowboys for centuries. 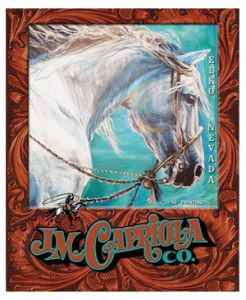 Capriola’s keeps their saddle making shop close to home. In fact, it’s on the second floor of the store. (“That’s where the magic happens!” Susan tells me excitedly.) Upstairs is where I meet saddlemaker Armando Delgado, who is entirely too bashful, given his accomplishments. 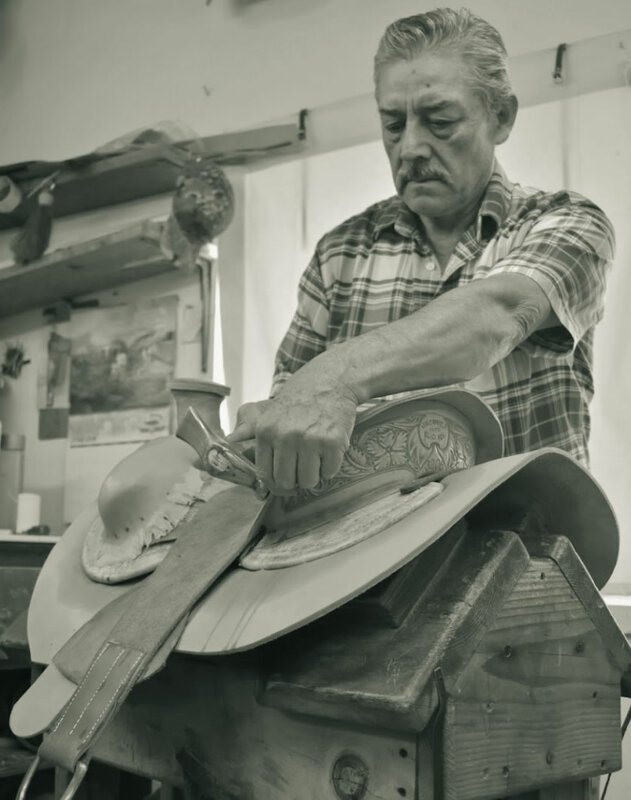 He has hand made hundreds of saddles in his life. He learned the trade growing up in Mexico where his father was a shoemaker. Armando has been working at the Capriola store for over a decade and has been featured in dozens of magazines, newspapers, and videos. His saddles can even be seen in museums. 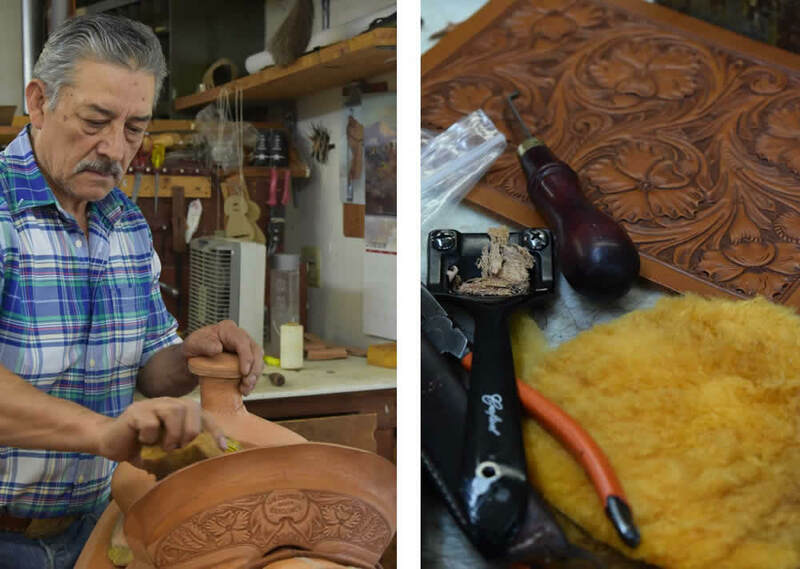 In 2014, Armando put in more than 600 hours of work to create a one-of-a-kind saddle to celebrate Nevada’s 150th year of statehood. The stunning saddle features a full floral hand-stamped design and hand-engraved sterling silver conchos. Armando’s sesquicentennial saddle was also bestowed with the G.S. Garcia leather stamp, very rarely used since Garcia died. The saddle toured the state for sesquicentennial events and is now on display at the Nevada State Museum in Carson City. Yet, when I ask Armando if he considers himself an artist, he blushes and hesitates for a few seconds before replying, “Well, I don’t know. A lot of people say that… but it’s my job!” Even if Armando won’t admit it, he most certainly is an artist. To watch him work is a treat. 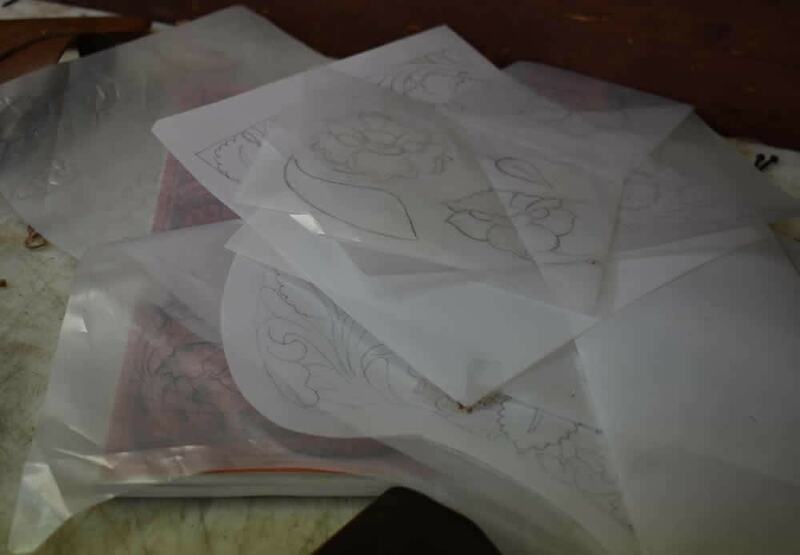 His tables are covered with various tools, leather swatches, and hand-drawn sketches. Saddles in various states of creation sit on stands around the room. He moves slowly around one – there’s no rush – making small adjustments here and there and then stepping back to assess before moving back in. “The hardest part for me is the seat,” explains Armando as he works. “I need to make [it] very nice for the cowboys. I need to check and check all the time to see. Everything is important, but the seat is most important.” He’s finished up the engraving on the back of the saddle seat. (Customer’s can choose from a variety of patterns, including the “Capriola Delgado Flower,” named after Armando). Next he’ll add the rigging, fenders, and the finishing details. With so much work by hand, I can’t help but wonder if he ever makes mistakes. “Sometimes… but not big ones,” he’s quick to clarify. The Capriola name and reputation has served the store well. Not only do they see approximately 50,000 visitors each year, but they regularly ship orders to customers around the world. Still, the industry has changed and Susan admits they are making fewer saddles than they used to. At their peak, they had six craftsmen working upstairs to fulfill orders. With the big box store boom and an abundance of cheaper riding gear, it’s gotten harder to get people to invest thousands of dollars on a saddle. But Susan is not worried. She says the Capriola commitment to quality over quantity is what will make their products last, along with their reputation. “If you’re going to buy it once, you’re going to have it for life,” she says. “It’s not going to be an item you purchase and six months down the road the stitching falls out or the leather breaks. It may cost more initially, but your investment will prove itself with the longevity.” In other words, you get what you pay for. Capriola’s may be rooted in the past, but Susan and John are looking toward the future. The countdown is on to 2029. That’s when the store will celebrate its 100th anniversary, a milestone that Paula Wright always hoped to see. In the meantime, Susan and John will keep doing things the way the family has always done. “You’ve got to keep it humble, keep it traditional, keep it true to its roots… and you can’t change that,” says Susan.